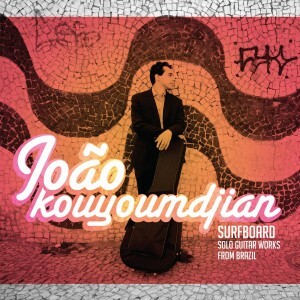 The exciting debut recording from Brazilian-Armenian classical guitarist João Kouyoumdjian in a survey of solo guitar works from Brazil. Featuring world premiere recordings by composers Raimundo Penaforte and Ricardo Calderoni. "Brilliant, full of life and colours. A delighful collection of musical jewels, played with taste and sensitivity. Bravo!" "João Kouyoumdjian's technical performance is brilliant and the sonority heard in the recording is of the highest level."